Stylish Red-Haired Woman Looking At Camera With Curiosity. 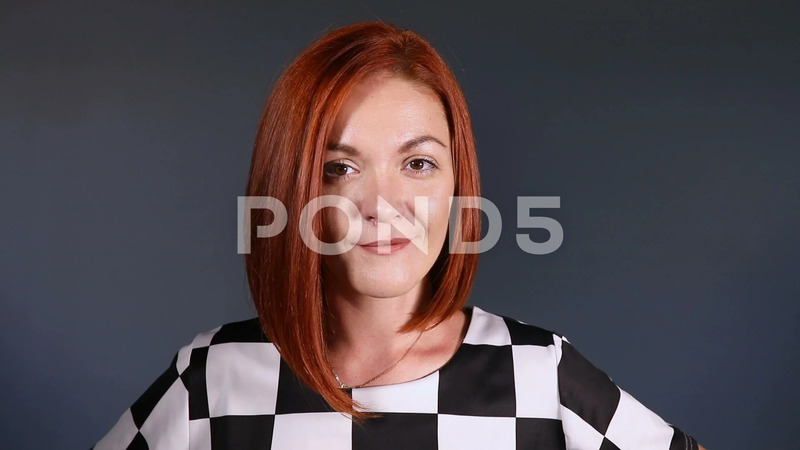 Description: Studio footage of beautiful ginger haired woman with hairstyle in stylish black and white shirt looking at camera with curiosity over solid grey background. Camera goes towards her face. Close-up.